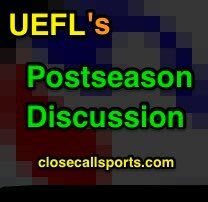 Join us for discussion of the 2018 American League and National League Wild Card Games. Chris Guccione (NL) and Jim Wolf (AL) are plate umpires for the two Wild Card Games (NL: Rockies @ Cubs ... AL: A's @ Yankees); Bill Miller (NL) and Gerry Davis (AL) are the crew chiefs. Home plate umpire performance is listed following the completion of each contest according to UEFL f/x (Statcast/pitch f/x data and application of UEFL Rules 6-2-b-a [horizontal bound, "Kulpa Rule"] and 6-2-b-b [vertical strike zone, "Miller Rule"]). Fouls, swinging strikes, balls batted into play, and hit-by-pitches are excluded from the analysis. - 10/2 COL@CHC Gm 1: Chris Guccione: pfx. 123/123 Balls + 72/78 Strikes = 195/201 = 97.0%. +2 CHC. - 10/3 OAK@NYY Gm 1: Jim Wolf: pfx. 112/112 Balls + 48/50 Strikes = 160/162 = 98.8%. +0 NU. Note: The highest plate score during the 2017 Wild Card Games was Alfonso Marquez's 97.1% (ALWC). The highest plate score overall during the 2017 Postseason was Chad Fairchild's 97.4% (ALCS Gm 1).